Am I Ready To Try Epic? 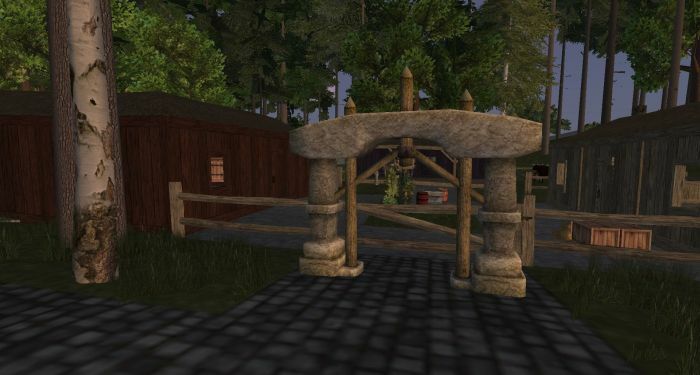 #WurmOnline – Nomadic Gamers, eh! I’m not a big fan of PvP but some times, some times you just get that itch. Your house feels too safe. The walls feel too close to you, and you’re looking for a little excitement. That champion old troll doesn’t frighten you the way he used to, so you think about what life might be like on the other side of the portal. You know the one I’m talking about. That stone portal, the one pictured above, actually. One of the features I love about WurmOnline is the ability to move from server to server without many restrictions. Interested in trying out the Epic servers? Use a portal (there’s one at Green Dog, or you can find the player built ones strewn across the lands). You’ll have to stay there for at least an hour, but then you can epic portal yourself back home (at least, that’s how I understand things to work). Your character starts off completely new on the epic servers, a new affinity, new tools, and you start from scratch. Skills raise faster than Freedom servers, and yes, things are going to get messy because guess what, it’s PvP. So am I ready? Probably not, and I doubt I’ll ever really BE ready. But I’m excited to try it out. I’m thinking if I do wander onto the epic servers I’ll start out in a village instead of trying to do everything myself. I’d rather be a part of something, at least for this component of the game. Strength in numbers and what have you. Meanwhile, on Freedom, my deeds are doing well. I completely re-did Les Reveurs on a random whim, and it’s turned out quite lovely (that’s the deed you see above). I have three buildings, one is my sleeping area, another the craft building, and the third is a supply shed with one wall open so that my cart drives through it easily. I’ve got 5 bulk storage bins filled with random bits and pieces, a nice alter set up so my Vynora priest can work on skills, some barrels of food and drink, my two bulls, and a horse. Of course having such a lovely home makes the decision to visit epic even harder. We’ll just have to see! Come to Serenity if you go epic! We are about to scout out a location for a house.